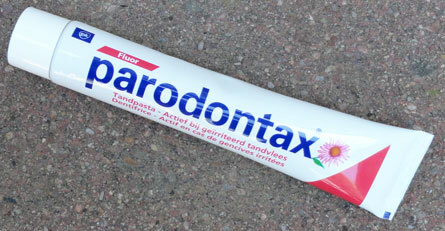 This flouride toothpaste made in Spain but made in Italy. My friend Jim Kok brought it back from a trip to the land of Da Vinci and espresso. (Thanks, Jim!) 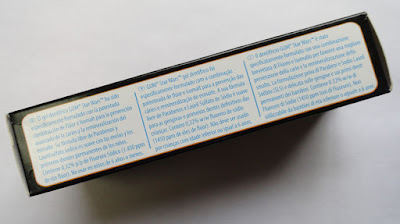 The package has ingredients in five languages: Italian, Protuguese, French, Dutch and Spanish. Interestingly, the only English words on the tube or the box are: "Star Wars" and the manufacturer's slogan, "Healthy gums, healthy life." GUM is a brand of the international oral healthcare company, Sunstar GUM. Their aim is, "to improve overall systemic health by helping people of all ages have stronger, healthier teeth and gums." 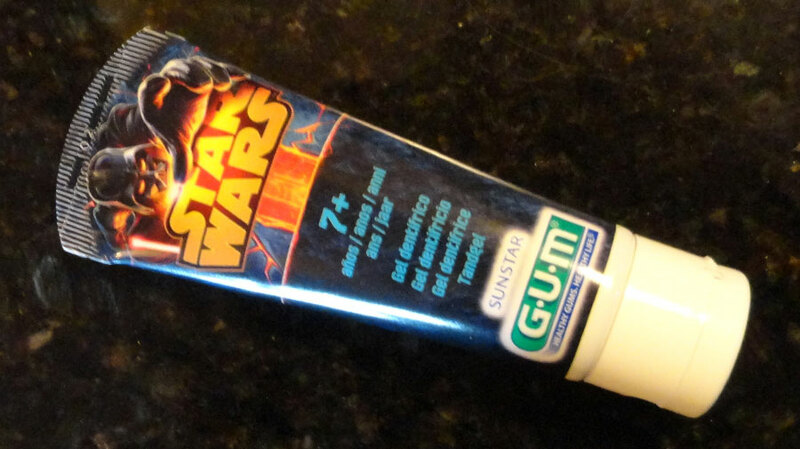 If packaging a toothpaste with Star Wars branding will help kids brush their teeth more, I'm all for that tactic. 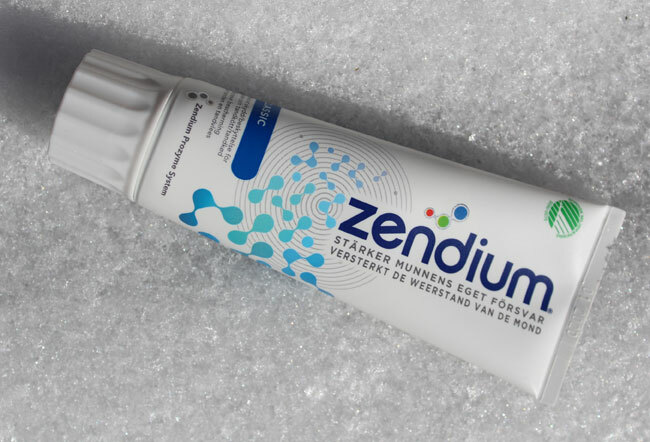 However, the medicinal bubble gum flavor might be difficult to get past. The paste is a curious bright orange gel. My wife pointed out that the light sabers of the dark side use an orangey-red. Maybe blue would have been more appropriate. 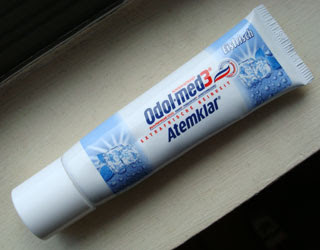 GUM brand toothpaste is not available in the USA, except online from international sources. However, GUM does sell Crayola-branded neon marker toothbrushes (!). I dunno - a kid might decide to color his teeth with the wrong end, if he was half asleep.